Phineas Taylor (P.T.) 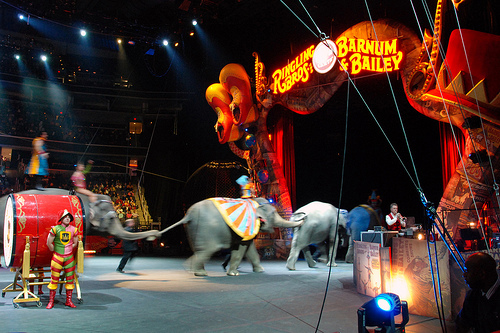 Barnum was one of America’s greatest entrepreneurs. His strategies might be exactly what you need to grow your business. Barnum was a master at advertising and self promotion – so much so that modern business schools continue to study his techniques. He was one of the first adapters of many aspects of marketing which are widely known today. Imagine a master advertiser, public relations expert, and self-promoting showman all in one. That’s P.T. Barnum for you. You could spend months reading about all of his business ventures and outrageous (and sometimes bizarre) promotion strategies. Started a traveling show that would later become the Barnum & Bailey (now Ringling Brothers and Barnum & Bailey) circus. “The greatest show on earth” traveled from city to city by train, delighting millions of people looking for some entertainment. Successfully promoted an international opera star in front of a new audience in the United States, where she was completely unknown. Labeled a five-year old child with dwarfism “Tom Thumb,” made him an international icon, and arranged for him to meet with Queen Victoria. Wrote a book about building wealth called The Art of Money Getting, a surprisingly good read with some solid advice and not the get rich quick schemes you’d expect. P.T. 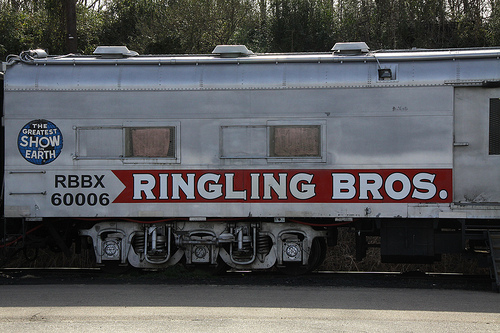 Barnum might have been a business genius, but you aren’t a circus promoter. You don’t want to grandstand… and you definitely don’t have the budget to take out ads in every newspaper in town like Barnum did. It’s easy to think Barnum’s techniques wouldn’t apply to your business, especially now that so much time has passed. But you might be surprised. Many freelancers and agencies could reach a lot more clients if they’d give Barnum’s strategies a shot. 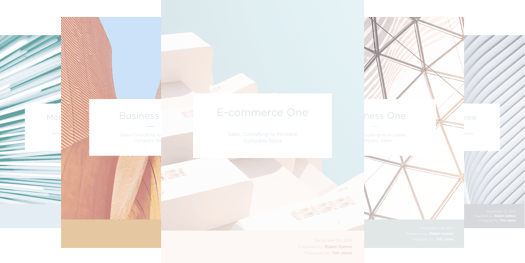 Plenty of businesses are already using them successfully. Barnum used to drape giant banners over the building to promote his American Museum in Manhattan. Museums around the world do this to promote new exhibits to this day. Barnum also filled horse-drawn wagons with signs and posters and had them travel around New York. Now, advertisers execute the same strategy by advertising on buses, subway stations, and even public bike rental stands. How can you make P.T. Barnum’s strategies work for your business? Without promotion something terrible happens… nothing! The Internet seems like magic. It’s amazing how you can put something out there and links start coming in. People find you, engage your content, and some even decide to become clients. But it takes a lot of luck and coincidences for those things to happen without any promotion. The field of dreams “if you build it, they will come” mentality worked much better 10 years ago than it does in today’s crowded online space. Without an established audience, just putting stuff out there and hoping for the best sets you up for failure. Finding time to promote can be tough. You’re already busy juggling client work and creating content. I get that. But even if you’re short on time, you’re better off dedicating a portion of it to promoting content you already have than using it all to churn out unpromoted content. It might take some experimenting to find the right ratio of creation to promotion. But odds are you should promote more than you are right now (marketing experts Derek Halpern and Jon Morrow recommend promoting much more than you create – about an 80/20 ratio – the exact opposite of how many businesses approach it). 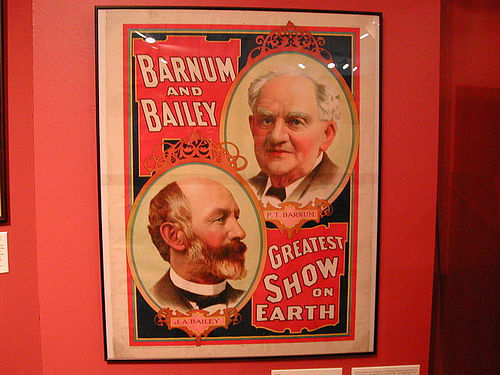 Barnum never left the success of his events up to chance. He took out ads in newspapers, rented billboard space, distributed pamphlets, and arranged press coverage. He even had a team of agents who gave local news reporters special access to his traveling circus in exchange for running press releases. Barnum even filled cities where the circus was headed with his own newspaper, Barnum’s Advance Courier. The crazy stories and illustrations inside stirred up the public’s interest. Any of those promotion strategies can work – if you pick one or two and stick with them instead of constantly jumping from one to the other. Pick up a free copy of our 16 Marketing Tactics to Get More Clients guide if you need a jump start. Advertise your objective. Don’t keep it in the dark. When people digest promotional content, they know very well that the business responsible for it wants them to do something. Even if the content is fun and engaging, it’s still content with a commercial purpose. It’s a far cry from reading a book for pleasure or flipping on a TV show. That’s why I don’t understand the huge hesitation when marketers try to hide the ball and pretend they aren’t looking for a response from their audience. Building trust, the attention economy, and other similar concepts are getting a lot of press these days. All of those things are important, but you’re ultimately laying that foundation because you want to direct your audience to a specific purpose: invest in your business. Pretending like you don’t have any desire for that response just comes off as inauthentic. People see right through it. Maybe they wonder what else you’re hiding because you’re already masking your intentions. Just admitting that you want your audience to act, on the other hand, creates a sense of relief. It’s easier to engage the content if everyone’s agenda is on the table. The audience wants to be entertained, educated, and solve frustrating problems. You want them to invest in your solution. When P.T. Barnum used jugglers, musicians, and other circus performers to entertain people on the streets, they put on a great show but the goal was clear – draw people into his museum of curiosities. There wasn’t any ambiguity about their motivations. If you’re struggling with your marketing, are you making sure you’re asking for action? Different pieces of content you create can have different goals, but they should have some type of goal – even if it’s as small as getting someone to leave a blog comment or share a post on social media. People weren’t just buying a ticket to see Barnum’s museum or circus. They were buying an experience. Barnum was well aware of this. He didn’t just want to convince people to buy tickets. He wanted them to have a great time and feel good about spending their money. It was a symbiotic relationship. The more he delighted his audience, the more they’d come again and tell their friends. Barnum even used an elephant to plow his yard outside his Connecticut home – an easy way to attract commuters’ attention on the nearby train tracks into New York City. How’s a random elephant sighting for delighting your potential customers? ”That’s easy,” you might say. “Barnum was promoting museums and circuses. Those make people curious all on their own.” What if you’re selling something that’s arguably more boring? You can still delight your audience. Many people dutifully put content out there, engage people on social media, and check off other boxes on the marketing “to-do list.” They do what they’re supposed to do, but in a mechanical way that takes all the fun out of marketing. That was never the case with Barnum. How can you delight your audience? Don’t be afraid to put yourself out there. Kill “corporate speak” at all costs. Be real on social media, use your own lingo, and even making jokes if the mood strikes you. You don’t have to force yourself to try to be funny or slip on a different persona. Imagine you’re having a conversation with a good friend. That’s when you’re at your most charming and relaxed. You don’t have to charm customers with your personality alone. Simple things about how you do business – like stellar customer service, quick turnaround time, and an appreciation for every client you have – go a long way. I don’t care what you write about me, just spell my name right! 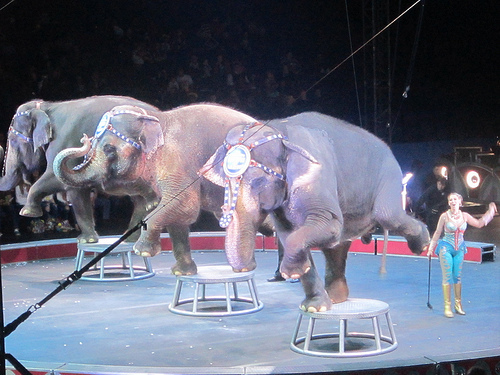 Barnum thrived on controversy. He did everything in his power to court it and make sure it surrounded his events. Sometimes he even created it himself. After Barnum started exhibiting a “161 year old” woman, he wrote an anonymous letter to a newspaper editor questioning the validity of his own marketing materials. The newspaper ran with it, stirring up controversy. Barnum did things like this because he understood a key marketing principle: the goal isn’t just attention, it’s inspiring conversations and sharing. This was some of his most Machiavellian work. Clickbait websites continue to fall for similar tactics today – something Ryan Holiday breaks down well in his book Trust Me, I’m Lying. Controversy still gets people talking today. Your message reaches farther than you ever thought possible, and new tools like social media just add gasoline to the fire. But don’t be afraid to stick out from the pack as someone who’s unconventional. If you approach your work differently than your competitors and have unique opinions, celebrate those differences instead of trying to minimize them. If someone writes an article you disagree with, offer to interview them or write a rebuttal article. Don’t be afraid to think big and take risks. Controversy just might come to you all on its own. You don’t have to freak out when you’re in that firestorm – maybe you can use it to your advantage. There were no shortage of hucksters and snake oil salesmen in Barnum’s day. A lot of people fell for it too. The public wasn’t nearly as skeptical and mistrusting of advertising and promotion as they are now. This made many of them easy marks for scammers who shocked them with outrageous claims. The phenomenon still goes on today. Websites like Upworthy write ridiculous headlines that tap into our natural curiosity… without ever really delivering the payoff those headlines promise. It might work a few times, but a lot of people wise up and stop trusting those websites or clicking their links. P.T. Barnum loved to hype, but he separated himself from other promoters by backing up his claims with real payoffs. He went out of his way to make sure the people got what they wanted. Over time, his audience came to know him as someone who delivered where others didn’t. Modern stunt marketing shocks people into paying attention, but there’s no real strategy behind it. They distract people with something completely off the wall, but they don’t offer any payoff beyond seeing something different. That’s why it’s so crucial to back up what you have to say in your promotional materials. How can you reward your audience for paying attention to you? Meet your end of the bargain. Give them the useful content, tips, or techniques, or secrets you hook them with in your headlines. They’ll come to see you as someone who delivers on your promises, and be more likely to give you their valuable attention again. There was no separating Barnum the man from Barnum’s businesses. He really put himself out there, traveling with the circus and even riding around in a chariot as a performer, entertainer, and showman. Every piece of marketing he created had his mark on it. After all, he did most of the copywriting himself and supervised his own team of illustrators! One of the biggest downfalls for small business marketing today is too much distance. People lose the personality in their marketing because they’re trying so hard to sound like the huge, successful companies they look up to. Their marketing becomes sterile. Here’s the thing: your size can be an advantage. It can give you maneuverability, and it allows you to inject plenty of personality into your messages. You don’t have to plaster your face across every page of your website or pretend to be someone that you aren’t. You just have to stand close to whatever you’re selling and don’t hide or disassociate from it. Potential customers are searching desperately for authentic, real people to do business with. An “About Us” page on your website, a welcome video, and social media profiles are all great places to relate with people and build credibility. Small doses of advertising result in nothing, obviously. It’s like giving a sick person half the medicine he needs. It just causes more suffering. Give the whole dose, and the cure will be certain and decisive. Barnum launched thousands of marketing campaigns to promote specific events, but he understood the need for consistent marketing as well. Inconsistent advertising and marketing isn’t the best use of your time. Sporadic efforts usually don’t produce payoffs that justify the costs. That’s why Barnum urges us to give our audiences “the whole dose” – enough long-term exposure to build a relationship and persuade them to take action. Many small business marketing strategies fail because they’re spread too thin. They upload a post to Instagram one day but don’t follow up until 6 months later. They squeeze in a blog post every month or two. They try a small PPC ad buy, then abandon the campaign when it doesn’t produce. The pressure to “be everywhere” is one of the silliest and most counterproductive things you can do to yourself. When your budget and resources are limited, pick one channel that plays to your natural strengths and work it until it starts to pay off or you’re 99% sure it’s time to quit (it usually takes a few months before you can tell). You can expand into other channels once you establish a solid presence and more income from the first one. Whatever you do, don’t give up before it’s too early to know for sure and jump from one shiny object to the next! But he knew how to give the people what they wanted. He got them not just to spend their money, but to do it with smiles on their faces. Whatever you think of the man himself, it’s hard to deny his business savvy and incredible techniques. You can apply many of these in your marketing to get more clients… even if you aren’t the bombastic, entertainer type yourself. The tools have changed, but the principles Barnum used are sound. Give them a shot to stand out from the pack. What do you think of P.T. Barnum’s promotion techniques? Have you ever tried any in your business? Leave a comment below and let me know!